fantastic set of old reclaimed Victorian Shutters . Width : 108" x Height 99" x Depth 1"
This set of shutters are in excellent condition and have been stripped of paint . These doors could also be used as floor to ceiling wardrobe doors or even room devides. 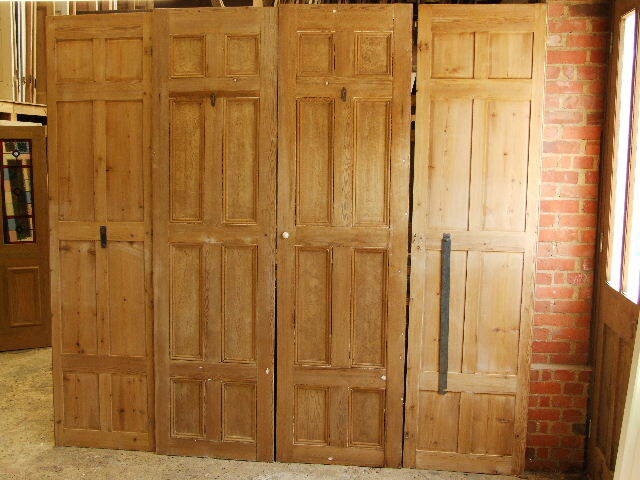 These doors can be reduced in height by removing the top row of panels this would make a height of 81 inches.